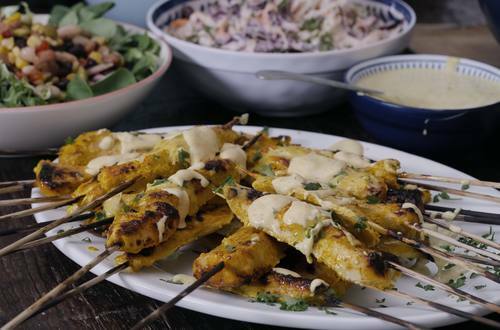 When it comes to meat on a stick, chicken satay has to be the best. Especially with our delicous Hellmann's mayo based sauce on top. 1 Skewers: Cut the fillets in long and approximately 2cm thick strips. Mix other ingredients and season the fillet strips, leave to rest for 4 hours. 2 Sauce: Mix all ingredients and put into small bowls. Serve with the grilled skewers.